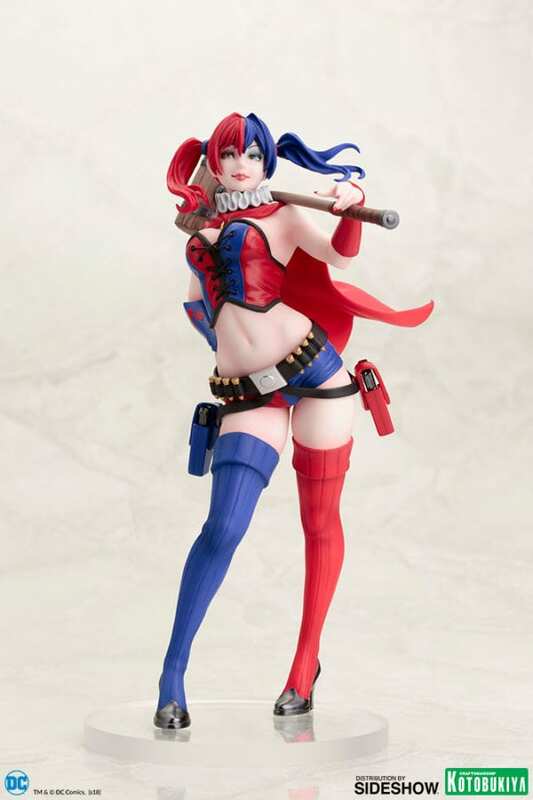 Kotobukiya is proud to present a New 52 interpretation of Harley Quinn based on a new illustration by master illustrator Shunya Yamashita. 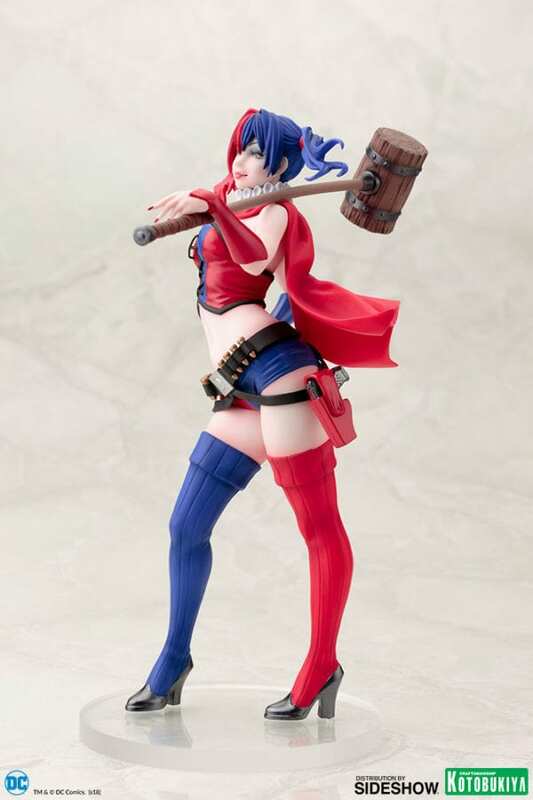 Harley stands in a relaxed pose, one hand on her hip and her oversized hammer at rest over her shoulder. 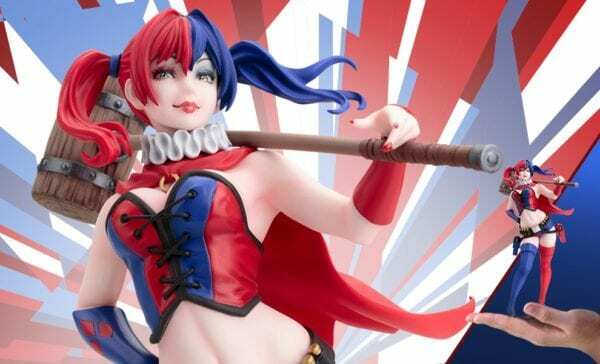 This sculpt features a new outfit for Harley in her signature harlequin style and colors, with a lace-up top, short shorts, thigh-high stockings, color-coordinated painted nails, and twin pigtails. 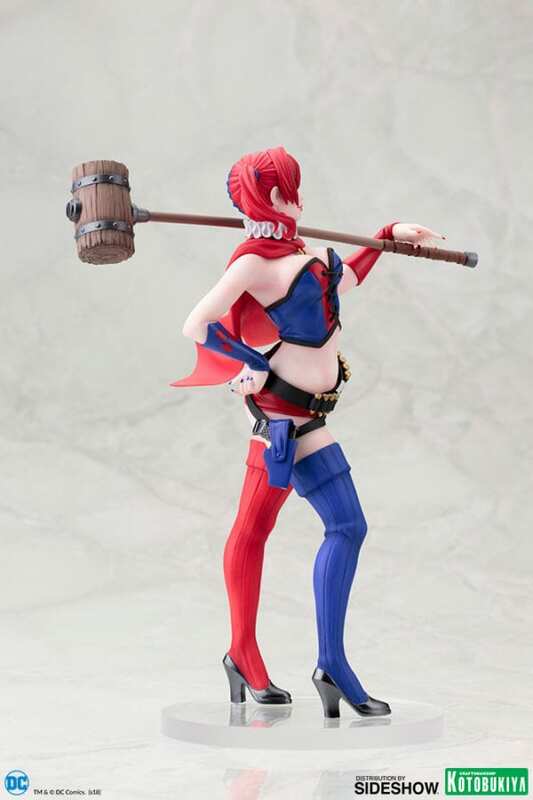 In addition to her hammer, Harley has two guns attached to her gunbelt with spare ammunition circling her waist. A must-have for fans of the Bishoujo Series! 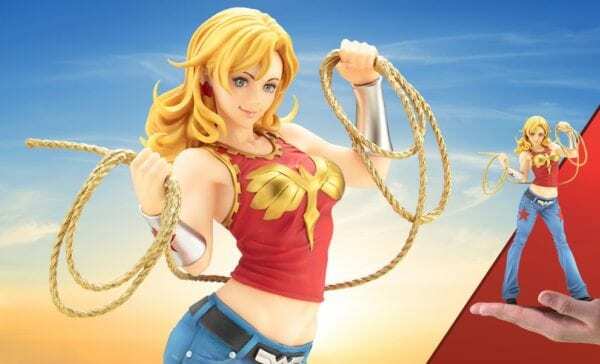 Wonder Girl joins Kotobukiya’s Bishoujo lineup of Super Heroes and Villains based on characters appearing in DC Comics! 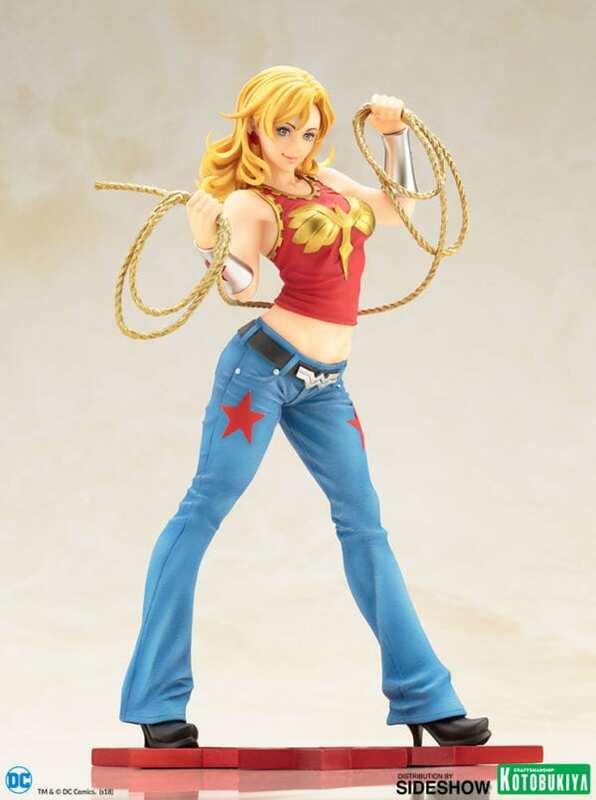 Wonder Girl looks great in her classic outfit: a tank top emblazoned with her symbol and starred blue jeans fastened with a buckle shaped like her logo. 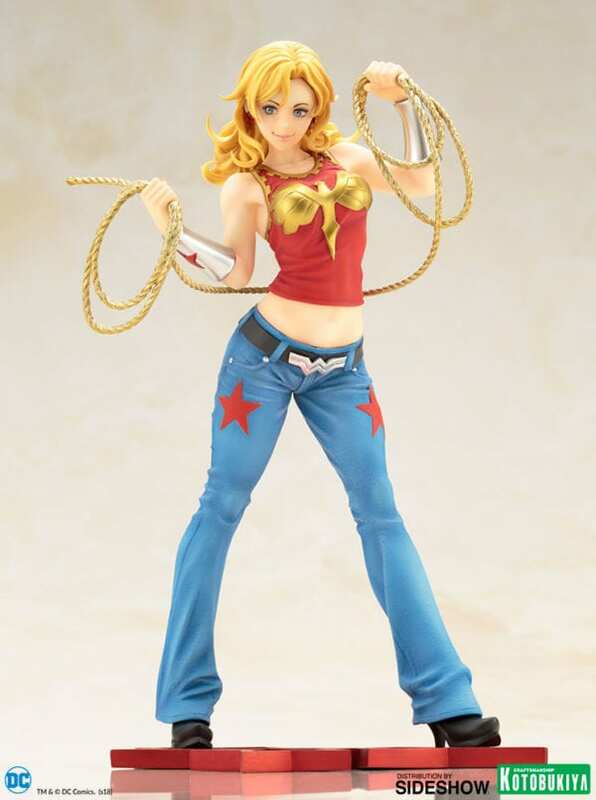 Wonder Girl holds her lasso at the ready standing at over 8 inches tall in 1:7 scale on a special themed base. 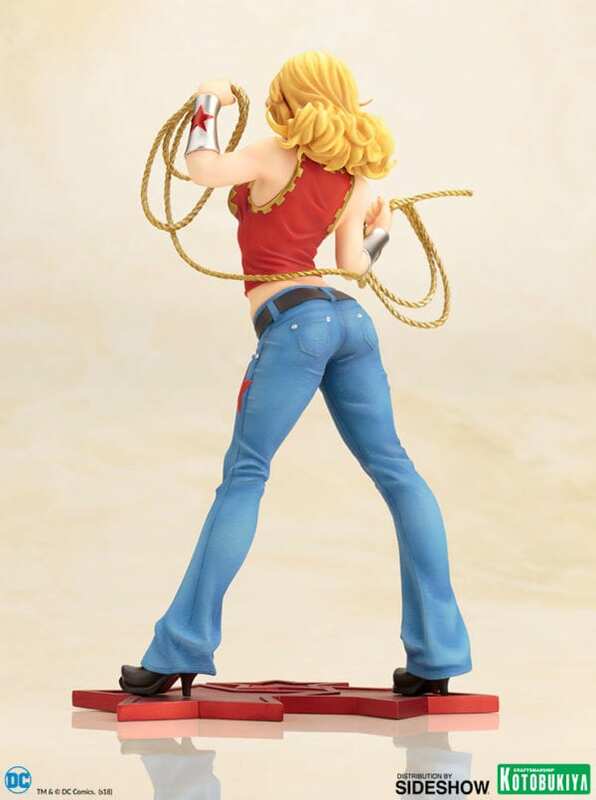 A must-have for fans of DC Comics and the Bishoujo Series!